After using this phone for 5 months, Few things which I didn’t like – Does not have fingerprint sensor & Face recognition doesn’t work on low lighting conditions. The later one is most frustrating. As soon as I came to know that, this device is giving Helio p60 for this price range, without giving any second thoughts I bought this device. Superb Phone, worth buying. Battery is good. User friendly phone. Good picture quality. 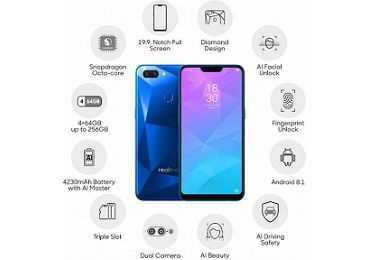 Latest price of Realme 1 128 GB in India was fetched online from Flipkart, Amazon, Snapdeal, Shopclues and Tata Cliq.